Like many online slot themes, they will play on a very specific era, more than likely to the furthest degree. The aim is always to create a lasting experience from the player who will often come back to the well if they enjoyed that experience a lot. 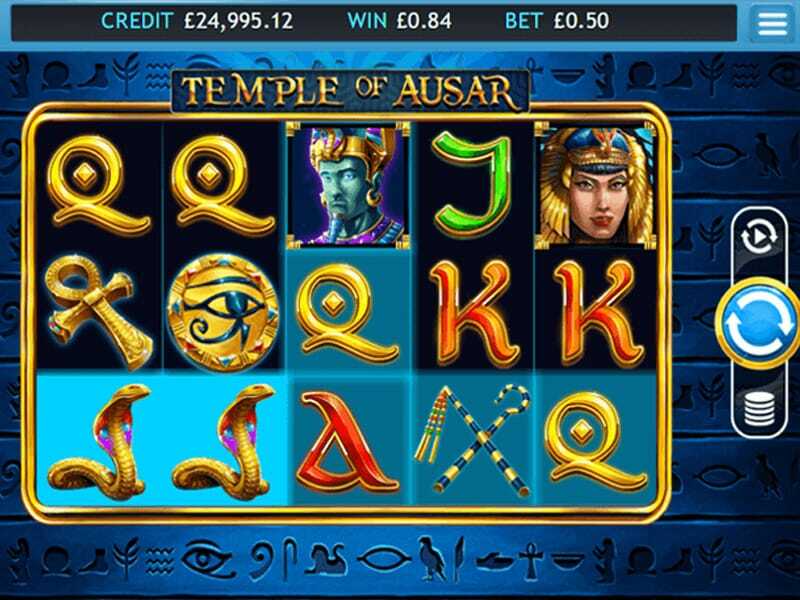 Temple of Ausar Jackpot is not only a trip to the times of ancient Egypt, but is also an experience wrapped within its own mummy wrappings that is sure to take you to places you never knew existed previously. There is a basic version of this slot, although in that version the jackpot is not limitless like it is here. Not many online game devs can hold a candle to the acumen of a company like Eyecon. The quality of games they produce coupled with their overall mentality when it comes to user experiences separate them from the pack. Their games can leave you in a lull of excitement unlike anything ever experienced before, that’s just the kind of company they are. All symbols in this online slot relate back to the times of ancient Egypt, symbols include: the Eye of Horus, snakes and emperors to name just a few. The design of this game has tried to reflect the overall theme of this game in a way that is tried and tested to instil excitement. Blues and golds bounce very well off one another that really showcases the graphics of this game as well as offering a great depiction of ancient Rome. It’s certainly a sight to behold. 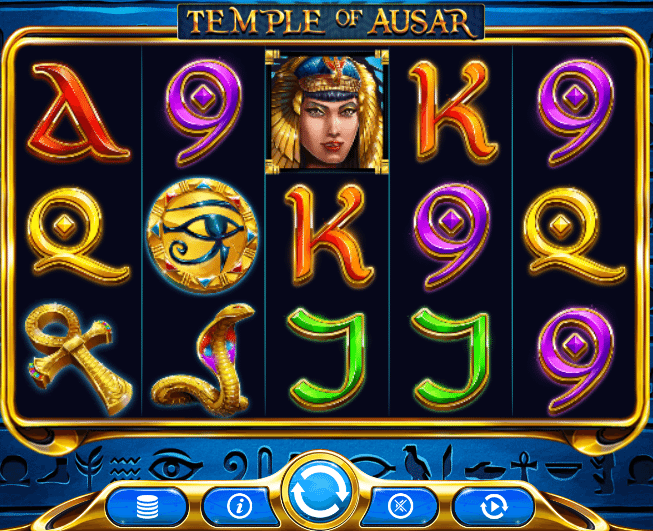 Temple of Ausar Jackpot is your classic 5 reel/25 pay-lines slot that is very basic to use. Features in this game include all of the usual suspects from wild symbols, multipliers, scatter symbols, to free spins. To begin your adventure, simply pick your stake by clicking on the coin button, bets begin at 25p and can be raised all the way up to £12.50 if you desire a stronger base. This is relatively low betting range, making it ideal for those who maybe don't want to spend that much or are un-initiated to online slots to begin with! If you don't want to sit and play yourself then there is always the option to use the ‘auto-play mode.’ This mode practically speaks for itself. To score the highest you must keep an eye out for the wild symbol. Matching this wild will reward you up to 9,500 coins which is definitely worth the journey! Another one to look out for is the ever-indulgent scattered goddess symbol, which can net you anywhere up to 450 coins whenever it lands on the screen. Because of the very in-depth design of some of the symbols it will be next to impossible for you to miss out on the more important symbols, you'll know which ones to match. Trust us.